En ocasiones la publicidad genérica puede ser más determinante en el crecimiento de las ventas de un producto que la publicidad de su propia marca y es cuando la categoría de producto sufre algún problema, como ocurre en el sector lácteo con su producto base, la leche, de la cual han oído hablar de forma negativa ¡¡ un 60% de los españoles!!. La consecuencia, todo el sector la conoce, no para de caer el consumo, salvo en algún tipo de producto más adaptado a las tendencias de consumo. Mientras que las bebidas vegetales de soja, avena, etc. no dejan de crecer. Nuestra forma de abordar estos casos siempre sigue tres pasos, el primero es “proteger” a los actuales consumidores de los efectos de las opiniones negativas, transmitiéndoles tranquilidad, y para ello en este caso es comunicando que la mayoría de las personas consumimos productos lácteos y estamos “más vivos que nunca”. El siguiente paso es desmontar las falsas creencias que actúan como frenos al consumo, para ello la labor prescriptora es fundamental, para lo que propusimos utilizar la opinión de médicos que además de argumentar de forma científica, se ponían como ejemplo de salud y larga vida. Y por fin el tercer paso, una vez constatado que hemos bajado el “freno de mano” que son las falsas creencias, es acelerar, o sea aumentar las ventas y valor de los productos lácteos mediante estrategias de crecimiento de penetración, identificando nuevos consumidores y de frecuencia, identificando nuevos momentos y usos de consumo, y pusimos unos cuantos ejemplos. Although several years have gone by since I wrote these thoughts, I think that they are still relevant. More than 20,000 brands and a single product: wine. Since it is impossible for the consumers to know so many brands, for each of these brands to motivate and persuade them, why not motivate them simply to drink wine, quality wine? For that reason I think that generic advertising for wine could do a lot for all these brands. It is very hard to get consumers to understand the values of 20,000 different brands so isn’t it easier and more effective to put across the values of a single product? Since we have made it hard for ourselves with an infinite number of brands at the point of sale, I am certain that generic advertising of wine has a lot to be said for it. Asking oneself what has to be done to increase the demand and sale of quality wine is rather like asking oneself what you have to do to be happy. We all want to be happy, we believe that what we do will make us happy, we know that it is possible because some have achieved it and we know there is no magic formula but that it is rather the result of a combination of internal and external factors. Although if we are not happy for a long time we will have to recognise that we are doing something wrong. The same thing happens with wine. A series of internal factors of the producers and external factors of the environment will determine the future consumption tendencies. But today something unique and historic is happening among the internal factors: never before has there been such good wine in such large amounts and so well distributed (nationally), so well presented and wines with such acceptable value for money. So what external factors are preventing consumption from increasing more? What would the sector or the administration have to do to achieve this? And, something which is fundamental for me, how should the wine be positioned in order to increase its consumption? The answer to these questions is the reason why some sector group or the administration set up a competition for ideas or an advertising campaign. For the moment, I will give my solution and I hope that if my view seems right to you, you do not fall in the syndrome of “the given ideas are not valued”. I consider the solution to this problem first of all within the framework of strategic marketing and not only on the level of advertising; therefore, as a reflection on the market segment in which work should preferentially be done and what positioning we believe we have to achieve in this segment to make people more prepared to consume wine. This positioning will reflect a single value put forward as an advertising promise in time and on all publicity supports and creativities. For that reason, it is better to get it right, and not only because adverting is expensive, but because of what is not achieved if it does not work: it should increase once and for all the consumption of quality wine in Spain. As the question is to increase consumption, we should first address all consumers – this would exclude those who do not like wine and those who cannot drink it for reasons of health. However, I believe that we particularly have to aim at young people and young couples to make moderate wine consumption form part of their daily habits as soon as possible. I don’t know if you would agree with me that we are not making it at all easy for these young people. I would divide wine consumers into two large groups: “the community of the knowledgeable” and “those who haven’t got a clue”. Both groups naturally want to enjoy a good wine, but the first know about brands, about years, wineries, denominations, prices, etc., and the second, if they are clever and humble, will ask for a good wine that is not expensive, but if they do not want to show that they haven’t a clue or do not want to complicate their existence before such a range of brands, denominations of origin, varieties, prices, origins, etc. they will ask for a beer. What I mean is that if we want to create a consumer wine culture amongst the young, we have to make it easy. Exclusive is the opposite of massive and I believe that the intention is to achieve mass consumption. My first conclusion is that young people have to be offered good wines that are not expensive, and there are lots of these. We have to encourage them to ask for “a good wine that is not expensive” as a sign of intelligence and not give them a complex because they are not professors in the subject. This does not exclude promotion amongst those, who will never be a majority, who wish all of the marvellous knowledge of the world of wine. The positioning is something that is achieved, that occurs in the minds of our target in time. It is the image they have of our product in comparison with other alternatives in a certain environment. All products or brands that have been on the market for some time and have a certain notoriety already enjoy a position in the minds of consumers. This image will be motivating, indifferent or dissuasive. They must have a more updated and complete study of the image that young people have of wine, of the values they associate with it and in what environment. On the basis of this information, we would know the current position and we could conclude whether or not it is of interest to strengthen or change it. I can guess from the facts and the hypothesis I am going to consider is that it has to be changed and repositioned. Given the amount of good wine that is not expensive that we have available to us, its consumption should increase much more, but doesn’t. So what positioning do I choose? What is available to us to make our young target think? And therefore, what message do I have to give for them to show more interest in wine? After analysing the SWOT of wine, I choose to act on a motivation based on which I will propose the positioning, and on eliminating a brake. The drawback to be eliminated is that wine should not seem to be a complicated drink associated with old people, but on the other hand, I would not recommend using the concept of “healthiness” as a commercial mainstay of advertising. I would only make a logical mention of responsible consumption. In order to define my positioning proposal, first I am going to define the environment and then I will choose a value that makes wine (in this environment) the best choice. With respect to the environment there is something that is so obvious it mustn’t go unnoticed: wine is mainly consumed with a meal. We therefore have two large areas of consumption, at home and outside. As we usually have dinner and some people have lunch more at home than outside, this must be the environment where we try to increase consumption, and this means supermarket purchases, another clue. With respect to the chosen attribute, I think that we are faced by an other obvious fact that can be experienced, which is that when we are going to have lunch or dinner and the meal is placed before us, if we are hungry and we know we are going to like the meal, all of our senses concentrate on enjoyment. This is one of the few times of the day left for us to enjoy. Even if we are on a diet we will eat less and more healthily, but something that we fancy, that we do not dislike, for lunch and dinner are times for sharing and enjoyment. Drink a little good wine every day and not just at the weekend. Have some at lunch and above all at dinner at home. Based on the attribute (advertising promise) that with a little wine with lunch or dinner dishes become much more enjoyable and the moment is more rewarding, and also that it is good for one’s health. This “mass” strategic approach requires us to make it easy, and with the more than 40,000 brands there are in Spain, we do not exactly do this. There are too many and it is difficult to know which to choose even if you know the kind of wine you like. The ideal thing would be that people could find the wine they want easily even though they do not know the brand, and this is not something that happens. Along this way, I recently proposed a new idea to our DOC Rioja customer. I would therefore position wine in the environment of the home and among the young and not so young, people who know how to live and enjoy life at all times and in all places, and above all at dinner, as “the prize for the warrior” after a hard day. A positioning more in lifestyle and emotion than of the product. And to finish, what I would never do would be to try to copy or compete with beer in aspects related to communication, but to create a place for wine with its differential values. Los diferentes tipos de carne deben de dar una respuesta adecuada a esta pregunta si quieren ganar la batalla por diferenciarse positivamente en la mente del consumidor, y en principio no debería ser difícil en este sector que cada carne ocupara su posicionamiento diferencial adecuado, pues partimos de animales diferentes, criados de forma diferente, de diferente sabor, color, textura, origen, propiedades saludables, precios diferentes, momentos y lugares de consumo diferentes. 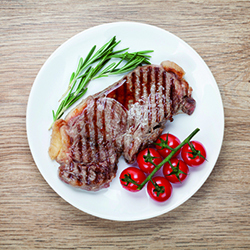 De hecho estas diferencias hacen que cada tipo de carne tenga unos puntos fuertes diferentes- unos percibidos por el consumidor y otros no – en base a los cuales se debería construir el posicionamiento competitivo: pollo: carne blanca saludable y precio asequible, cerdo: versatilidad, carne blanca; vaca: sabor, status; cordero: sabor, origen natural, conejo: carne light, sabor peculiar. Las diferencias son suficientes para poder construir posicionamientos diferentes, sin que se solaparan unos con otros, pero en la realidad eso no ocurre. Todas las carnes quieren posicionarse con la misma estrategia de posicionamiento: posicionamiento por atributos y con los mismos atributos: sabor y salud. Este hecho no beneficia a ningún tipo de carne, pues cuando mayor es el solapamiento entre posicionamientos menor es la eficacia de una campaña y mayor el desgaste, y cuando menor, menor es el tiempo y recursos necesarios para una comunicación eficaz. Mi recomendaciones son: no tratar de ser más, sino el primero o único en ocupar un posicionamiento. Intentar aplicar los atributos en contextos más focalizados. Quien mucho abarca poco aprieta. Egoístamente nos interesa que nuestra competencia encuentre su territorio único por tanto, su posicionamiento ideal. Un primer ejemplo lo tenemos en la carne de conejo, su comunicación durante este tiempo ha sido correcta, pues están pretendiendo un posicionamiento lógico con los valores del consumidor y con una de sus principales características, el ser muy saludable. 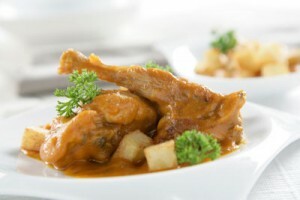 Pero si queremos hacer este posicionamiento más creíble y diferenciador, nuestra recomendación, que solo podemos hacer a la carne de conejo, es que redefinan el contexto, que busquen otro más focalizado donde claramente sean la mejor opción. Para ello lo que sugerimos, en una primera aproximación, es que se posicionen por segmento de mercado, proponiéndose como la carne que prefiere el segmento de mercado que más valora estar “fuertes y sanos”: siendo la carne de conejo,”la carne de los que hacen deporte”. Este posicionamiento, llamará la atención de un segmento ya importante de la población, que tal vez ahora no piensen en la carne de conejo como opción y por otro lado, transmitirá al resto de los consumidores que si es buena para cuidarse los “deportistas” también lo es para ellos. Un segundo ejemplo, lo tenemos con la carne de cordero y la campaña de promoción realizada en Francia. 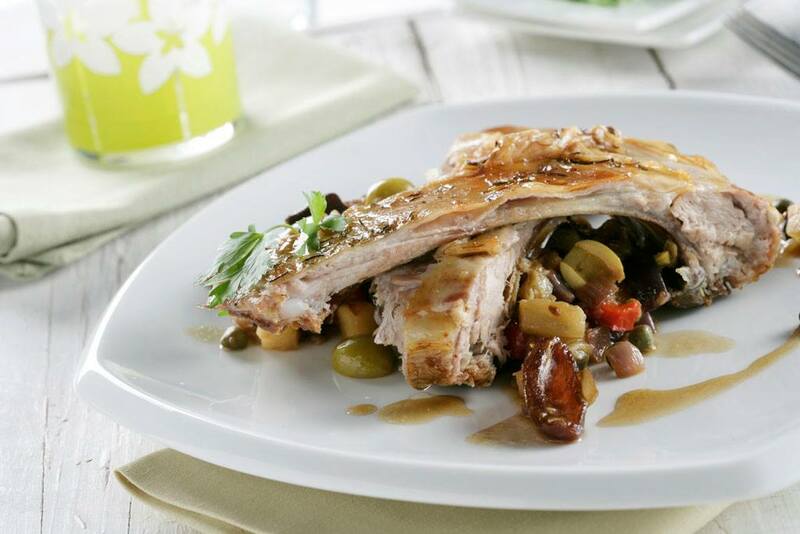 Aquí la campaña se ha centrado en cambiar y modernizar la imagen de la carne de cordero en base a impulsar la presencia en el mercado de nuevos cortes, que faciliten un cocinado más fácil, rápido y sano. El producto es el encargado de cambiar el posicionamiento, la campaña de comunicación con el mensaje de “cordero listo” se ha limitado a comunicar los nuevos cortes. Lo cual es totalmente correcto. Un tercer ejemplo, lo tenemos en las campañas de promoción de la carne de cerdo en USA. Allí, desde 1987 han optado por construir un posicionamiento de carne saludable con la frase “la otra carne blanca”, eliminando el freno que supone para el consumidor norteamericano preocupado por la salud pensar en el cerdo como carne poco sana. Después de este tiempo, parece que ya lo han conseguido pues desde 2011 echan mano de otro punto fuerte diferencial de esta carne para construir un nuevo posicionamiento, la versatilidad de uso. De este modo, ahora la propuesta es “inspírate” invitando a que el consumidor aproveche la versatilidad de esta carne para disfrutarla de mil maneras. Conclusión: Cada oveja con su pareja. Cada carne con su posicionamiento. Voy a reflexionar sobre el posicionamiento que debe conseguir cada tipo de carne, en la mente de los consumidores, para aumentar sus ventas y valor. Primero repasaré algunos conceptos clave sobre el posicionamiento, seguidamente en base a estos conceptos realizaré una crítica constructiva sobre cómo está trabajando el sector sus posicionamientos y por último, pondré varios ejemplos. El posicionamiento, es algo que ocurre en la mente de los seres humanos de forma natural, queramos o no. Es un proceso por el cual al pensar en un país, una persona, un producto o una marca -teniendo en mente al resto de países, marcas o productos, -sobrereducimos sus características focalizándonos solo en una, la que más nos llama la atención, en función de nuestros valores, experiencias y creencias; la mente simplifica para facilitar el proceso de toma de decisiones. Así si un norteamericano ve en un lineal un vino español de una marca que desconoce, pero ve que es español, y al lado tiene uno francés al mismo precio, posiblemente elija el francés por el posicionamiento que le otorga este origen, aunque el español sea en este caso mucho mejor, pues sin haberlo podido probar, el origen español “posiciona” a este vino por detrás del francés. Igual ocurre con el aceite español con respecto al italiano. Este proceso condicionado se inicia, en el contacto de cada individuo con el mundo exterior a través de sus sentidos. Todo lo que captan nuestros sentidos comunica y esta comunicación va dibujando la imagen mental del país, producto o marca hasta que el dibujo queda terminado. Lo que los expertos en marketing y comunicación tenemos que hacer es actuar durante la creación del posicionamiento de la carne en concreto que sea nuestra responsabilidad para que la mente de los consumidores se focalice sobre el punto fuerte o valor que nos diferencie de la competencia, haciéndonos más competitivos. Y si éste posicionamiento ya está “dibujado” y nos potencia la venta y el valor de nuestro producto hay que respetarlo y consolidarlo. Pero si no es así, cambiarlo, redibujarlo. Estos vectores comunicacionales que captan nuestros sentidos y crean o destruyen el posicionamiento son: el propio producto -sus características organolépticas, saludables, sus propiedades, color aspecto, etc.- su precio, las comunicación publicitaria, el boca a boca, el punto de venta, las noticias e informaciones de los prescriptores y lo que diga y haga la competencia. Con todo esto ya podemos sacar algunas conclusiones: que el posicionamiento de una carne no lo crea solo una campaña de publicidad, ni siquiera es el factor determinante en algunos casos. Otra conclusión, es que hay factores que están en nuestras manos para crear el posicionamiento como el producto, el precio, la comunicación, y otros no, como el boca a boca, o lo que haga la competencia. Otra, que hay que armonizar las diferentes políticas del marketing mix para que todas apunten a conseguir el mismo posicionamiento. El proceso se inicia con la fase de elección del posicionamiento ideal y luego seguimos con la fase de construcción, en la cual se necesitaran los siguientes recursos: tiempo, dinero, profesionales y visión de empresa. ¿En qué contexto y en base a qué atributo, la diferenciación conseguida me convertirá en la mejor alternativa? Another success of the union and the view of the directives is the date-plum D.O. in the Ribera del Xuquer. In 1998 the Date-plum Denomination of Origin of the Ribera del Xúquer wine region decided along with the Valencia Community Ministry of Aquaculture Fisheries and Food to start to make massive advertising campaigns to increase date-plum consumption. In all cases, but especially when the product aims to start out in the marketing and communication world, the first thing we do is to find out everything we can about the product (who produces it, how, where, its qualities, prices, distribution, market, etc. ), and about the competitors in the same terms. Above all we are interested in knowing what is happening with their present and potential consumers and purchasers (their degree of knowledge of the product and the –initial- image they have of it, their tastes, desires, beliefs, values and consumption habits). Depending on the consumer and with regard to the competition, we use all of this information to see what strengths and weaknesses we have with respect to those chosen or not chosen by this consumer, and what threats and opportunities we are given by the environment. The next point is to choose a single strength, if possible, which will be the one the consumer most appreciates and where we beat the competition. This will serve as a base for building the communication strategy. I personally prefer to choose, if not what we do best, what makes my product unique or a leader, for this is more distinctive and gives greater motivation when choosing. We know that the product does not always allow us to make campaigns like that, although in the case of date-plum we did (and won the EFI Gold award for the most effective campaign with the lowest budget in Spain in 1999). After making the above analyses of the product, market, consumer and competition, and reporting it briefly, we saw that date-plum had three weaknesses: it was very soft, which made it difficult to handle, preserve and transport; it was very sweet, which gave the impression that it was “fattening”; and it was not very well known outside of its production area. As I believe the key to effective communication lies in beating the competition, we gave special importance to analysing this section, starting by asking who was actually the main competition. In the case of date-plum, as with other fruit, for nearly 10 years I have maintained that its competition lies in the artificial desserts. However, due to its special characteristics, we thought that we had to refine this idea more and concluded that the competitors were the sweetest artificial desserts. And we were very surprised to see that while the sweetness of date-plum was its weakness, sweet artificial desserts (pastries, crème caramel, etc.) in particular had increased their consumption up to 30% in the last decade in some cases, all according to the MAGRAMA food panel. Up to the present time, one of the forms that artificial dessert industries (crème caramel, yoghurts, ice creams, etc.) have considered for increasing their sales is the use of growth strategies by penetration in the natural dessert segment, in other words taking away the fruit market and replacing the fruit. The importance of this segment, the disjointedness of the horticultural fruit sector and its incapacity to counter-attack with advertising undoubtedly help the industry to achieve its objective. The worst thing of all is that the form in which some try to eat away the fruit market is precisely by saying that it has fruit “pieces”. A veritable coup de grace to the sector. Therefore, the strengths of comfort and uniformity are complemented by the strengths of the fruit: the fact of being natural, healthy, fresh, etc. They achieve this at least on the level of perception as there are many differences with regard to the quality and quantity of the fruit used by these industries. Now going back to the date-plum and bearing in mind all of this, we are thinking of turning the situation round and taking advantage of the sweet desserts. How? By presenting ourselves as another sweet dessert, but a natural one. We would do this as follows: both in the commercial and in the graphic image we say, “Is it an ice cream? (showing a cone with a date-plum in the place of the ice cream). No, it is a date-plum. A date-plum!! Is that a sweet? No, it is a date-plum… Date-plum, the healthiest way to enjoy a sweet.” The date-plum has everything. They couldn’t beat us because what is life, healthy and natural is only “made” by nature. In time, the Denomination of Origin has done better still; it has developed a hard date-plum which they call the Persimmon, thus overcoming the other weakness and starting out on a new stage I would love to write about at another time. If we want to sell more citric fruit for fresh consumption and increase its value, in addition to having the right product, price and distribution, we must ensure that the communication enhances the positioning that makes us more competitive in time. But in order to know this positioning, the question we have to ask is clear: in what context and with what attributes are citric fruit the best alternative amongst all of the products that can satisfy the same needs? When I try to answer this question, the first thing I see is that the two main citric fruits, oranges and tangerines, have different contexts of consumption and attributes and must therefore have different positionings, something which means that the messages in the advertising campaigns also have to be different. In the case of the orange, the attribute I choose to make it more competitive is its capacity to be drunk (a capacity shared by the tangerine, but for which I will choose a different characteristic) and the context, where I enhance the strength or attribute of the juices. Continuing with this logic, in principle the ideal positioning for oranges would be: “the orange is the best fruit to be drunk”, but as we are competing in the context of juices in this kind of consumption, if we want to win in this context the position would become “freshly squeezed orange juice is the only one that allows us to enjoy its true flavour”. Let’s see why. No other fruit so easily becomes an exquisite juice nor has a household appliance so widely developed for it as the squeezer. This property has also created a giant orange juice industry but, much to the dismay of the industrialists, no technology has been developed, nor do I believe any will be, to achieve a packed juice that rivals freshly squeezed orange juice in flavour. This should all be great news for our farmers, as this is the most important value for a large segment of European consumers. We must not forget that freshly squeezed orange juice in Europe would generally be Spanish and that packed orange juice mainly comes from outside the EU. As happens with all products, consumers also have to choose. If they had to choose between a freshly squeezed orange juice or a packed juice this means that one is a competitor of the other, in other words the farmers’ competitor in this market segment are the large national and international juice companies. We might consider national direct juice companies that use Spanish oranges an exception, but even so, the profit for farmers is smaller than if the same oranges were used to make juice in the household. Minute Maid, Tropicana, Pascual, Don Simón, etc, struggle to see which is the best and sells more. The good news is that the best of them is still light years behind freshly squeezed orange juice in quality as there is a great difference in flavour, colour, smell and palate. The bad news is that these brands have huge budgets for advertising and promotion, highly affordable prices and perfect distribution, in addition to comfort and speed in consumption. Freshly squeezed orange juice is a much better product, but logically has a higher price as a product of greater quality, distribution in the households and growing distribution in cafeterias and a currently non-existent communication as such. If we reflect a little on all of this, we will see something decisive. This large difference in quality, which above all is the flavour in the juice experienced by consumers, is not habitual between two products competing on the same market. What is normal today is that the publicist goes mad trying to find what is unique, different or superior to the competition in its customer’s product. All of the products are becoming more and more similar, the competition is increasing and it is more difficult to stand out. There are many good wines, cheeses, oils, or fridges, cars, banks, etc. As this is the case and above all knowing that we are talking about a competitive edge that will probably be maintained, why is this not currently being used to the benefit of the sector? I don’t want to suppose anything. However, considering that there is a middle-high class European segment of population prepared to pay more for better quality products such as freshly squeezed juice and that they are also prepared to make an effort and invest time in everything that gives quality of life, like doing sport or making juice; supposing too that we are aiming at this population in an advertising campaign in which our objective is that part of the packed juice should be abandoned in favour of consumption of freshly squeezed juice and we manage to make off with 5% of European consumption in three years, how many kilograms of fresh oranges would disappear from the lines? For if 2.5 kg of our oranges are needed to make 1 litre and 4 million tons of packed juice are drunk in Europe, 500 million kilograms of oranges would disappear from the lines for this use, which would have a positive effect on the price of other fresh oranges and tangerines as it would suppose eliminating a large percentage of our production from its habitual form of consumption. I must say that the present inactivity in transmitting this positioning has not always occurred. In 1996, in Mercamadrid I proposed a television campaign subsidised by the EU and supervised by the MAGRAMA in which I gave two ideas. In the first, freshly squeezed orange juice was compared with packed juice and on the screen we could read “squeezed, sieved, pasteurised, concentrated, diluted, preserved and packed” and in the end a glass of juice shown alongside a brick pack followed by half emptied oranges piled up alongside a glass of juice (with a better appearance), saying “with a manufactured product you lose in health and all of its flavour. With freshly squeezed juice you only lose 2 minutes. You choose”. I met with the rejection of the politicians with this commercial, as it damaged certain interests. Eight years after this proposal, Zumos Pascual did the same but the other way round in a comparative commercial criticising and laughing at juice squeezed at home, comparing it with the comfort of the brick pack, a line to which other brands are now adding given the warm reaction of the sector and the public administrations. The proposal put forward as an alternative and accepted at the time was to use a little girl of around five years of age in the commercial, who described the artificial desserts that she was shown and didn’t really know what an orange was when it was put in front of her. Something is better than nothing. Two years later in a campaign we made for the Ministry of Agriculture, I focused on the subject of lifestyle. A very happy mother went into her office and said to her workmates, “my son has said mummy”, and then she fell serious for a few moments and said “but she said it to the babysitter”. Then the commercial showed a person making juice with the words “don’t miss out on the best things in life for the sake of a few minutes”. In the year 2000, I followed the same line for the first campaign for Intercitrus. The chairman of the time told me, “we have to make people peel and eat oranges” and we lost the tender. This freshly squeezed orange juice line has since been abandoned. However, I think that if people’s tendency is to drink oranges and to peel and eat tangerines, in order to be effective advertising has to follow these tendencies, in other words, to follow the consumer’s desires and not the other way round. The second competitive positioning I referred to above comes precisely from tangerines, but here the context I choose to be more competitive and to fight is that of all industrial desserts, yoghurts, crèmes caramel, ice creams, chocolates, etc. And the attribute to win in this context is the ease with which they are peeled, along with the fact that they are 100% natural. These two things together give us an ideal positioning for tangerines: “the natural dessert you enjoy more because it is easy to peel”. For the following Intercitrus campaign I went in for, I joined forces with a great creator and friend of mine, Mariano Mancebo. This is also gave me the chance to work with an international network with which I later associated, Publicis. I told Mariano that my strategy was to position tangerines (and oranges too, by order of Intercitrus) in the context of desserts, as oranges and tangerines are the natural dessert par excellence, and to battle against the other artificial desserts by highlighting their drawbacks. The first commercial we made along the lines I suggested said, “Don’t you think we are giving our children too many artificial desserts, too much sweet and fat? Think about fresh oranges and tangerines, they have fresh vitamin C and pure fibre. Get it in your head”. As a conclusion, I believe that if orange and tangerine advertising campaigns were made to be more effective, they would have to be distinguished in the content of their communication, for it is clear that they have different attributes that give them different advantages in different contexts. The only thing that unites them is their vitamin C content, something which is already known to everyone. The important thing is to choose one path and stay with it, as if the competitive edges do not change, the communications strategies should not change either; what must change from time to time is the creativity. I do not mean that it is not possible to promote eating peeled fresh oranges, but that we must have preferences depending on the better-than-expected result. Therefore when one path is used up, another must be started. When Danone came to the end of the children’s target, it began with a historical campaign aimed at parents through their children and continued to increase its sales. Many years with excessive offer, high costs, the lack of union in the sector and the lack of commercial vision have left farmers without profits. Apart from making a large, continuous campaign in Europe to motivate a change from packed juice to the product freshly squeezed at home, in years of surplus production I would try to carry out a large promotion to eliminate the surpluses or at least to minimise the effects. I would therefore give away a bag of cheap oranges with a squeezer for the purchase of oranges for fresh consumption in order to facilitate the process of replacing the pack and creating the habit of squeezing oranges. Many errors were committed when this idea was tried in the past. If there is a good strategy, internal communication throughout the sector to encourage collaboration and coordination, a good plan, logistics and good management throughout the promotional cycle (which was the aspect that most failed), citric fruit producers will see the results with this kind of promotion. The easy thing is to throw in the towel. Ideas for a more competitive organic agriculture. Biological agriculture, ecological agriculture or organic agriculture are terms that define a type of agriculture which excludes the use of synthesis chemical products such as fertilisers or products for protecting the crops and uses sustainable techniques that are respectful with the environment. According to the report presented by a German consultancy (FiBL/IFOAM), the world organic food market is estimated at 44.5 million Euros, which makes it a more than interesting niche, above all bearing in mind that it is only very recently, hardly 25 years, that it has been distinguished as a productive sector. (1) Source: “Situación actual y perspectivas de la agricultura ecológica en España” González, V. Vida Rural magazine. 15/05/12. (2) Source: Ministry of Agriculture Food and Environment. The Ministry of Agriculture, Food and Environment also indicated in the data corresponding to the period from 1 April 2009 to 31 March 2010, that each Spaniard consumes 35.4 kg of ecological products and spends around 29 Euros on this demand. Ecological foods therefore accounts for 1.9% of total food expenditure made by Spanish households and has shown a clear rising tendency in the last 10 years. However, we are still a long way behind the consumption in countries such as Germany and the United Kingdom, to give but two examples. Years ago the European Union created a commission of experts to start to promote “Organic Agriculture”. I formed part of this commission and everything seems to indicate that this is just at the beginning. In a globalised agriculture where Spain has lost price competitiveness against productions from other non-European countries, this differentiated agriculture might relieve the situation. But for this promising possibility to become reality, apart from the correct product, price and distribution policy, there will be two key factors: credibility and the correct positioning of these products in consumers’ minds. Credibility has to do with product policy and can be the Achilles heel of this agriculture, above all regarding the use of biological products for vegetable protection. The European ecological production regulations established requirements and restrictions on fertilising and phytosanitary products which all ecological producers must know and which since 2007 have been regulated by regulation 834/2007 of the Council concerning the production and labelling of ecological products. Thanks to the regulation there is legislation covering the manufacture and use of these natural products ranging from control using the plagues’ natural enemies to plant extracts. This regulation and later control have been key to the picaresque, ignorance or negligence endangering the safety of crops, farmers, the environment and the consumers themselves. With respect to the decision on the positioning, as we want consumers to perceive these “bio” products and to choose them over the “others”, it is necessary to be careful and reflexive, for the positioning is something that is achieved in the long-term and must therefore not be changed, must be unique, relevant and attractive for consumers. To make this agriculture, the production costs of which are usually higher than those of conventional agriculture, good business, we have to give these foods a positioning that makes them perceived as superior, but in what? Analysing the advertising support and contents promoting these foods both in Spain and in Europe, the first conclusion may be drawn: these foods and ecological agriculture are placed excessively against the conventional. This leads us to focus on the content of the messages, on how natural it is and its lack of chemical waste as the only value. In other words, what is sold is health, which has its advantages but also its limitations. The advantage of this positioning is obvious, for it gives a value that is highly appreciated by society taking care of their health and also concerned for preserving the environment. 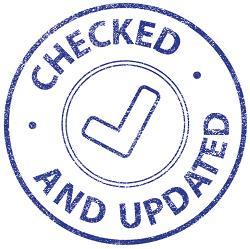 The limitation is also clear: the food health aspects are highly regulated and we have recently heard the allegations that the EU allows to be used on the labels, as long as the qualities are scientifically demonstrated. I believe that this modern, healthy value must be balanced with others of equal importance: the flavour and the pleasure. I would say that we do not eat to be cured or not fall ill, but rather to satiate our hunger and enjoy and if we also eat balanced meals with ecological products, we will also enjoy better health. Therefore, the correct positioning in my opinion will be one that bears in mind both values. The weakness of these foods is often their appearance, which makes it more necessary to bear in mind the flavour as a competitive factor defining the quality beyond the appearance. When we persuade a new consumer to purchase this product for the first time, as it is something new they will focus their whole attention on the subjective experience of flavour and will compare this same food with previous experiences held in their memory. This is the key time when the new experience can leave them indifferent if they find no differences, or be gratifying or even surprising. If the experience leaves them indifferent, the only thing they can do is to think that they are eating more healthily, but this is undoubtedly only a half-way measure. Therefore I believe ecological farmers should strive to produce flavoursome food, something which will always be easier than with conventional agriculture. 5 December 2012 An analysis by sector: ideas to increase competitiveness. The career of Zespri kiwis is undoubtedly one of the most notable stories of the agricultural food sector, an intelligent strategy of associationism, in the first line, followed by a brand which assured that a fruit once known as the Chinese gooseberry is now firmly associated with Zespri. New Zealand is the principal exporters of kiwis and accounts for 30% of world trade, but the most important thing is that Zespri kiwis have managed to achieve a sale price above that of kiwis from other countries. This surely has a lot to do with what they call “consistency and quality”, something they have achieved with the values of sustainability, health, consistency and reliability which they have managed to pass on both to the product and to their relationship with shoppers, and the large promotion campaigns of the brand. This has all meant that the Zespri label on any kiwi in the world is a promise that will be met for any consumer. However, we must not forget that a large part of the company’s success was the result of an important crisis. A saying from the rural world assures that “the path has to be really broken for all of the neighbours to agree to repair it”, and this is what happened in the Bay of Plenty over 30 years ago. In the 1950s and 1960s, New Zealand was the only world supplier of kiwis, but this scenario gradually changed until in 1988, when kiwi production in the rest of the world exceeded New Zealand production for the first time, the prices fell dramatically due to the excessive offer in Europe, a situation that was on the verge of eliminating the New Zealand kiwi sector. 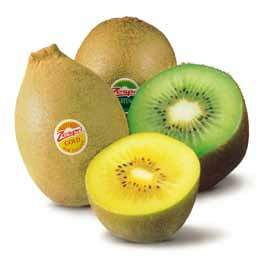 This crisis brought a response from the producers: to unite, and from this unity to adopt a strategy of differentiation and professionalisation with the birth of an institution whose foundations had long been forged, the New Zealand Kiwifruit Marketing Board, which ever since has progressively organised the policies of product, distribution, price and communication of all kiwis produced in New Zealand in a unique fashion. In a historic assembly, on 16 June 1988 they decided to start a unified, disciplined marketing strategy with a single brand and a single seller, something which has undoubtedly brought them success. In some way, all of the farmers agreed that if it had always been the farmers who assumed all of the risk, it should also be they who took control, and so they began to do so effectively in the following campaign. Since then, always was concerned for the legacy of those who started to cultivate Chinese gooseberries in New Zealand in 1904, they have worked around the world with a professional structure capped by Zespri Group Limited. They assure supply to their customers and consumers, but also and more importantly, they assure the support of a single, integrated structure that continues to maintain a single market outlet. At the heart of the whole organisation are the farmers, and if there is something that always characterises Zespri, it is that it has to be the producers who continue to take the strategic decisions, who are the owners of the business and therefore the final arbiters. Zespri Group Limited’s structure is the same of that of any large company, with great, well-trained professionals with experience who account to a board of directors formed both by producers and external advisers. However, the owners of the company are the 2,754 kiwi producers and this means that Zespri Group Limited must constantly demonstrate the strength of its business and the value generated by the brand to these farmers. Furthermore, the company’s global structure has Kiwifruit New Zealand (KNZ), an advisory or regulatory board created in the year 2000 which has no commercial functions, but works as a guardian that supervises the actions and practices of Zespri Group Limited, and makes sure that no producer or supplier receives different or discriminatory treatment, and that they all have the right amount of information. If we look at the Spanish agricultural food sector, we can look for similar examples without finding them. We could undoubtedly wonder whether interprofessional institutions such as that of olive oil, Iberian pork and strawberries, or distinguished quality brands such as the Canary Islands banana IGP, all organisations with some trait in common with Zespri kiwis, might not be able to organise and professionalise themselves in the same way. With Zespri’s example we have already seen that this is possible. Will our sectors need to sink the right to the bottom before they start off along this path? I hope not. In Zespri they know that their present situation is the result of the work of generations committed to building a viable, vital and sustainable legacy that ensures that Zespri kiwis put “more life into your life” and this “your” is everyone: consumers, customers and farmers. When a sector (whether it be flowers and plants, fruit and vegetables, meat, oil or wine, etc.) wants to generally promote its products, it has to do it all together as if it wants results, it needs time and money and this is achieved more easily if all of its companies come together. Many of us know from our own experience that this is not easy. Few sectors in Spain have managed to be united for many years by promoting their product. Some due to lack of results, others due to lack of understanding, and yet others due to lack of vision. Before giving a couple of ideas to achieve our goal, I would like to go over the main reasons why, in my experience, many attempts at sector integration have failed, failures that may serve to give solutions in the form of proposals. – Short-term results are pursued when, if the discipline you need is advertising, this will take three years or more supposing that the strategy is right, the creativity is sufficiently notorious and, above all, there is sufficient budget to be able to plan and purchase media (tv, radio, etc.) in the right form and quantity. – This activity is considered an expense when in fact it is an investment that increases the notoriety and awareness of the product, company or brand and therefore its value in the form of greater demand or higher price. – Creative proposals and ideas are assessed under the prism of the personal and non-professional taste of some independent expert. It is forgotten that the audience for this activity is not the sector in itself, nor the politicians or organisational managers. 2. Another reason I have seen consists of trying to stir up a promotion campaign simply with general advertising. This formula benefits the whole sector, which means that everybody has to contribute, although there is generally someone who refuses and prevents the campaign. Nobody wants to pay for and benefit someone who does not pay, especially if they commercialise the same product. 3. Very often the reason for failure lies in the will to bring many different groups into agreement: producers, wholesalers and retailers. This makes the job of locating them, calling them, etc. very difficult and excessively complicated to start. 4. Another reason: I have seen how the members of the sector agreed to start a fruit and vegetable promotion that failed because they did not agree on the fair and transparent way in which each party should make their economic contribution. In this particular case, given the chosen formula, few were prepared to give the details of their turnover or real sales to serve as a basis for calculating their contributions. The last reason I know, and there are surely many more, is the dependence and trust on economic aid from the Administration to start the campaign. If this fails to arrive, the campaign does not go ahead; although the worst thing is the opposite case, which has happened to me twice and is that the sector asks the administrations for help, the administrations award it but the sector is incapable of giving and depositing its part, which is usually between 30% and 50% of the total investment. I believe this happens because the sector managers have not given basic information and education to their bases so that they might understand and appreciate the need for promotion in a market where every product has an alternative, and thus for gradually creating the “culture of advertising” that I was talking about. This work of internal communication must continue on the bases if we also want to receive their support during the campaign and when the prices fall. Furthermore and given the precedents, no campaign agency or administration must be asked for a subsidy until the economic contribution of the sector has been placed in an account of the Administration. After these reflections, I am going to give my first idea to unite a sector or part of it in a promotion, an idea that solves a large part of the above problems and which I successfully started some time ago (1995) in the citric fruit sector. – First: to benefit only those who take on the economic risk, which in addition to being fair also unblocks the process and creates promotional culture. – Second: to work at first only with part of the sector, the part that is most concentrated and most transparent to make it easier for everything. – Third: flexible quotation formulae must be found that respect the privacy and freedom of the participants depending on their will, interest or capacity. – Fourth: not to condition the existence of the campaign to the Administration’s economic contribution, but to ask for its collaboration and participation. 1. To start with the wholesalers, but not with all of them, just those operating from the brands as there are fewer of them, they are together, can be located, are associated and have sufficient size. All of this helps in designing, approving and starting up the campaign. Furthermore, this approach has an advantage for future expansion. As the wholesalers are in an intermediate area between producers and retailers, they can serve as a nexus between them all. 2. The formula to be used for the campaign to no longer be general, for it to benefit only those who take on the economic risk and for interest and motivation in participating to be created is to use the brand of the participating company or that of its fruit and vegetable. In this way they feel they are investing in something that is their own and also in the common interest of the sector. The brands are the distinguishing element of the participants and one of their main supports. Furthermore, a common brand or distinctive sign can be made to promote the campaign, which in this case I called “Punto Naranja” [Orange Point]. I believe that the EU should study the possibility of extending its support and allowing general-brand campaigns if it wants to have business people with vision who are really interested in promoting their products. 3. What’s more, by using all of the brands of the participating wholesalers we oblige some commercial communication disciplines to be used more than others. Specifically we will have to use the promotion at the point of sale with the brand or brands of the wholesaler supplying to each retailer and put the advertising we will use into the background for two things: to generally promote the product and report the promotion which will be carried out in the sales rooms of the participating wholesalers’ retail customers. These points of sale will be identified with loud sale point material (poster and hanging display) with the symbol of the campaign (Orange Point) so housewives might recognise the establishments as those taking part in the promotion. 4. The economic contribution is free and voluntary and will always depend on the number of kilograms that each wholesaler wishes to promote. The reasonable thing is that each wholesaler should contribute to the campaign by promoting as many kilos as they expect to sell so that their percentage participation is in line with the sales they expect during the period of the campaign. As a result of the promoted kilos, the agency will calculate the coefficient of Euros/Kg. of the cost of the campaign, which will be the same for everyone and will depend on the total amount of the campaign. 5. The specific device chosen in this case for promoting sales was the use of scratch cards that the wholesaler received in line with the size of their participation. Using a TV commercial and advertising at the point of sale, the housewife will know, for example, that for the purchase of every 2 kg of the brand of fruit or vegetables in question, she will be given a scratch card. 6. However, this approach has a weakness. We give housewives an incentive to buy the products of the participating brands throughout the promotion, but when the incentive or added value is taken away, we go back to the initial situation with respect to purchase motivation. We therefore have to send messages to the general population informing of the advantages, virtues and characteristics of all kinds that are offered by the promoted products, fruit and vegetables as the case may be. I therefore suggest that if there are sufficient economic resources, a general advertisement should be made distinguishing the product in question and giving way to the promotional campaign, and finally, that a press office should be created. Both actions will be responsible for sending out messages to achieve a permanent culture of consumption. In 1999, finding a solution to this weakness led me to create the Fundación Sabor y Salud with the idea of developing a permanent press office for fruit and vegetables. The second idea to be able to unite the sector and make continuous promotion occurred to me when I was studying the case of Colombian coffee at a seminar of the San Telmo International Institute in Seville. In Colombia, a large part of the coffee sector is integrated in the National Federation of Coffee growers (FNC), which since 1960 through the advertising activity of Juan Valdez and his “Coffee from Colombia, the best in the world” has managed to achieve a historical premium for their coffee of almost 0.10 dollars per pound (0.45 kg.) more than coffees from other countries. Since 1940 the National Coffee Fund has financed the programmes of the FNC. This fund was generated with the “coffee contribution”, a kind of tax that the government collected and the producing sector paid. It was not actually a tax because it was not paid into a Treasury account and was used to guarantee a minimum price for farmers and to pay for the advertising. The key lay in finding the right balance between the sector and the government to manage the fund. From all of this, before the regulatory extension was applied I thought of making the following proposal to the Government and to the sector wishing to make a joint promotion: that the Government should pay for all of the activity of advertising and promotion of a sector for a certain time (3-4 years) until results started to come in in the form of increased consumption or higher prices in exchange for the sector’s commitment to accept a special tax which the Government and sector would begin to collect at the end of these 3–4 years and which they would maintain for at least three or four times the time that the Administration had paid for the campaigns. In this way, the public administrations help the sector to start out, which is the most difficult time, and with programs that are well-made for the medium-term, which are those that assure their effectiveness. 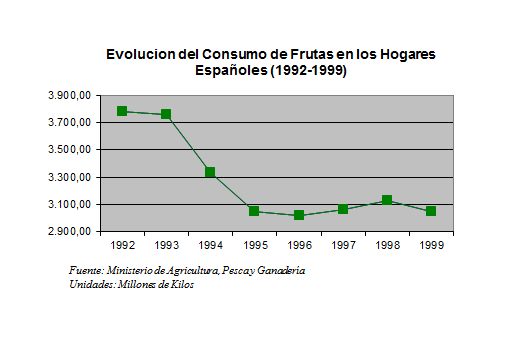 According to the MAGRAMA food panel, from 1992 to 1999 fruit consumption fell by 20%, although a recovery is detected in the last period (18% from 1999 to 2002). In this period 4,046.32 million kilograms were accumulated and unsold, which at an estimated average price of €0.25 means that the sector failed to earn at least 1,011.58 million Euros in this period. The question that undoubtedly arises is why this happened and what can be done to prevent it from happening again. Any analysis of this must begin by approaching the competition between the different fruits and the evolution of the environment. As in almost all cases in which increased fruit consumption has been suggested, the analysis of the competition is the most important point of view and that which is frequently least considered. I believe that the most important thing for a product or communication policy to be effective lies in understanding the fact of the choice, which brings us back to awareness of the competition. Today, consumers have more and more choice and it is therefore necessary to know what they have to choose between and why they choose as they so. Let’s analyse the competition of the plum date: is it the orange or the banana? I wish it were that easy, as both are competitors, but much less than we might think. Let’s look at what happens in a restaurant at the end of the meal. The waiter asks us what we want as a dessert, we ask what there is and he answers, “I have different pies, ice cream, fruit”, the fruit always at the end, becoming another dessert. Look what happens at home when the children don’t want to eat fruit at the end of the meal; their mother says, ….well you have to have a dessert, so here is a yoghurt with strawberries or a crème caramel”. So what is the true competition of fruit? Mightn’t it be the artificial deserts? To make sure this is the case, consumers have to consider these products substitutes, and therefore generally when the consumption of one increases, the other drops. Let’s see what happened during the time when the fruit fell as analysed above. 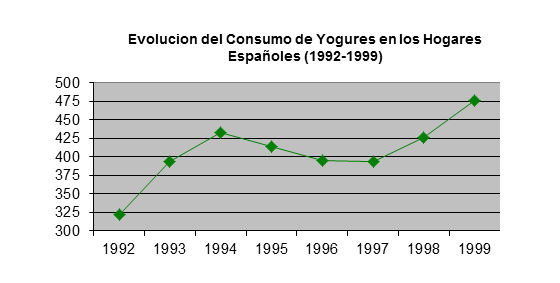 According to the MAGRAMA food panel in the same period from 1992 to 1995, yogurt consumption increased by 47.91%. As we can see, comparing what has happened with fruit we can conclude that there has been a movement from the fruit shopping basket to artificial desserts. This is bad for the fruit and vegetable sector and for the health of the Spanish people, and especially our children. Now the question is why this happened and what can be done to avoid it. We can place the reasons in three areas: product, communication and social environment. With respect to the product, artificial deserts always have the same quality, smell, taste, appearance and consumers are sure that their consumption experience will always be repeated. In fruit, as it is “made” by nature with man’s intervention, I cannot be certain of the most important thing, its flavour, although its appearance might be very similar from one piece to the next. As for changes in the social environment, the incorporation of women in the workplace and less availability of time to do the household chores means that comfortable products that are easy to carry, store and consume, such as artificial deserts, have an advantage over fruit, which are generally preserved, transported and stored with greater difficulty and, in many cases, also have to be peeled. And to complicate the situation is still further, in the area of communication, artificial dessert advertising makes things very difficult for fruit, both in terms of quantity and content. In 2003, artificial dessert investment in the large media advertising, without considering promotions, relational marketing, press offices and other communication actions, or amounted to 257.8 million Euros, a figure which is highly ambitious in comparison with the 9.4 million Euros invested by all fruit in the same large media. Aside from the advertising investments, what is most important is what the housewife believes, and I think we can conclude that housewives think that a crème caramel and an apple are equally deserts and therefore can substitute each other. They know that fruit is important, which is why they give their children yoghurts… with fruit. Many promotion campaigns concerning fruit consumption pass this over and say only that the important thing about fruit is health. This is a big mistake. It is necessary, but no longer seems sufficient, for when housewives see fruit promotion campaigns, they remember how important fruit are and this leads them to buy yoghurts with fruit, fruit juice from a concentrate or a product containing juice and liquid yoghurt. What can be done for fruit in this situation? – Consumers must be made to enjoy eating fruit once more, fundamentally by recovering the flavour. If the appearance is good or the better, but let’s not forget that consumers are not stupid and if they do not like something, they do not come back. The health motivation is important, but eating is, more than anything, enjoyment. Let’s not turn fruit into simply an insipid, aroma-less medicine. – The virtues, properties and characteristics of fruit and vegetables must continuously be communicated through a press office (with a reasonable cost). It will take time to create a fruit consumption culture and the media must join with us in this work. – Housewives must be re-educated with a massive advertising campaign putting everything in its place, to make them know that a dairy dessert and a fruit are different products, equally necessary but not at all replaceable. Continue working on housewives year after year, campaign after campaign, just as the competition does, “If you dunno what to have for breakfast, Danao, what have you had for breakfast?” with images of a fruit shop under a model’s balcony, which seems to insinuate “if you have had orange juice and fruit, you haven’t had breakfast”. These kinds of campaigns can only be counted with advertising in which people are educated and informed about the difference between fruit and artificial desserts without aggressiveness but clearly. The only problem is that to do this we need no more and no less than union, vision and business character throughout the whole of the Spanish fruit and vegetable sector. I think that the first thing that has to be done to put everything in its place is to re-educate the “deceived” housewife and then talk about how important it is for us to eat a lot of fruit, four, five or six portions a day. Maybe it is not pure coincidence that the period in which a recovery is detected in fruit consumption is the period in which the first advertising campaigns are carried out on citric fruit and the Fundación Sabor y Salud (created on 6 May 1999) and the Asociación 5 al día begin their work.